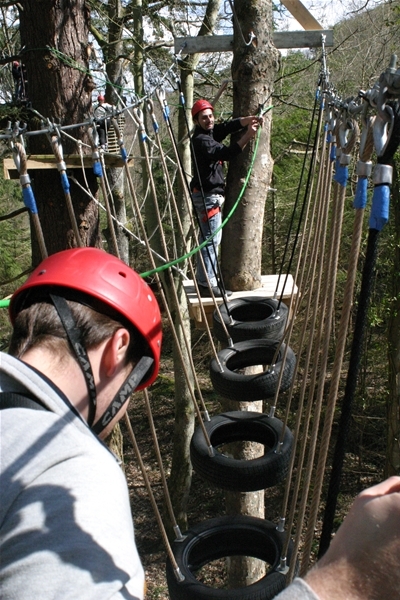 Our high rope courses will change the way you look at life because you will be over 10 meters off the ground running the gauntlet of our aerial assault courses. We don't just have the one course, oh no, we've got two! Why do we have two courses? Well we want to warm you up in a relatively easy manner, and our 10 meter high course is perfect for that! But after you've developed a head for heights, what's next? 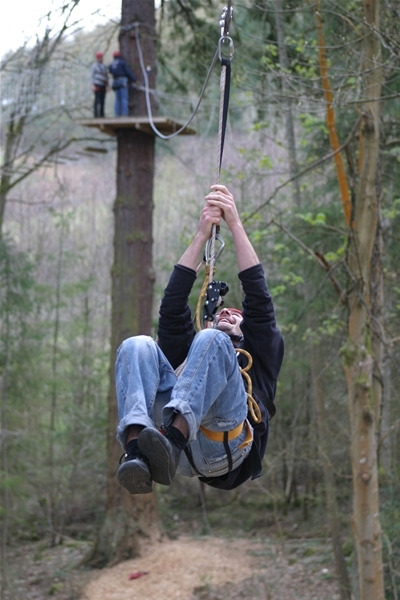 Well how about our 17 meter high course, one of the highest in the country! 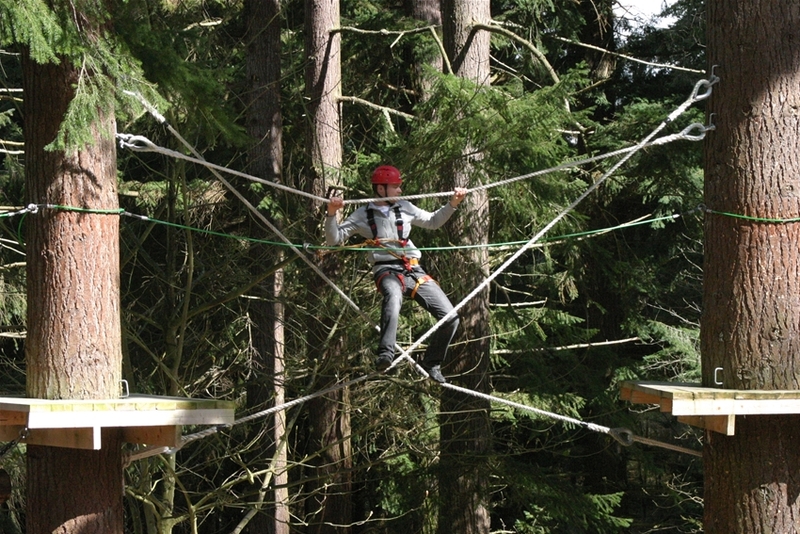 With some spans between the trees measuring 20 meters , these two aerial obstacle courses will get your adrenaline pumping like nothing you have legally done before. 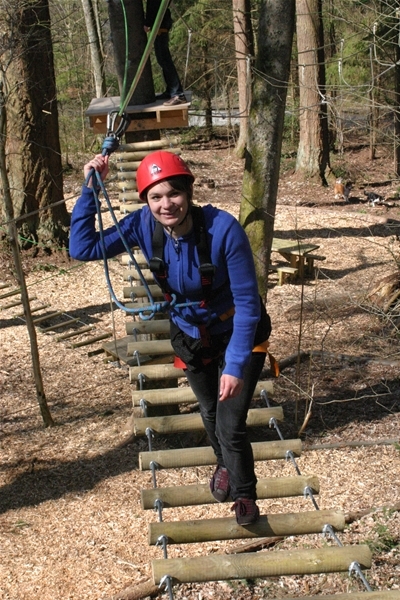 On arrival you will be issued with all the safety equipment you need for your session. Our expert instructors will then put you through your paces on three very low level elements, during this time you will learn how all your safety equipment works and you will be briefed on all the correct procedures to follow once up in the course. Price: £30 per person for a 2 hour session. What times do you do it? : 9.00am, 12.00pm and 3.00pm. What's the minimum group size? : We need 4 people to run a session and can take up to 30 in one session.